1.What is Silver Snowball's Money Back Guarantee? 2.How do I cancel a subscription? 3. Is my subscription automatically done on a recurring billing basis? 4. When is my subscription processed each month? 5. Can I change the amount of silver I'm getting each month? 6. How does the commission plan work? 7. Do I earn bonus silver for my own order and can I buy 1 ounce rounds? 8. When are commissions paid? 9. Is the subscription price guaranteed to stay the same? 10. What would happen if there were no more silver available? 11. Will I get new or old silver? 12. Is this available WORLD wide? 13. How does the company help with marketing? 1. What is Silver Snowball's Money Back Guarantee? Return any product within 30 days of date of purchase for a full refund. Refund will be made in the same manner you paid i.e. if you paid by credit card we will credit that same card for the amount paid. 2. How do I cancel a subscription? Notify Silver Snowball by writing to admin @ silversnowball.com (without the extra spacing). You will get a confirmation by email within 24 hours. To be sure we have received your email please make sure we have responded to your request within 24 hours. This will stop all future recurring billings for subscriptions. It does not automatically give you a refund for orders already processed. Yes. You do not have to "renew" every month. Subscriptions are processed on an "autoship" basis (also called "recurring billing") unless cancelled by the subscriber. On the monthly anniversary of the day you joined. For example if you join on the 15th of the month the next autoship would be on the 15th of the next month. That might change slightly during "short" months. Yes. Just contact us at admin @ silversnowball.com or call us at 781-294-7009. Let us know what you want to do and we can help you. The entire comp plan is you are paid in silver half of your customers silver purchase volume. Another way of saying the exact same thing is you earn 50% bonus in silver on your customers' silver orders. A more detailed way of explaining that with every variation and qualification we can think of follows. For every calendar month you are an active subscriber purchasing Silver we pay you 1/4 ounce .999 Fine Silver commission for every 1/2 ounce 4Bit Walking Liberty Silver Round purchased by people who have joined through your website and ordered silver. This is based on the total of new purchases AND recurring (subscription) purchases of silver. For example if your members purchased in total 7 rounds which is 3.50 ounces. Your bonus would be half of 3.50 ounces which is 1.75 ounces. 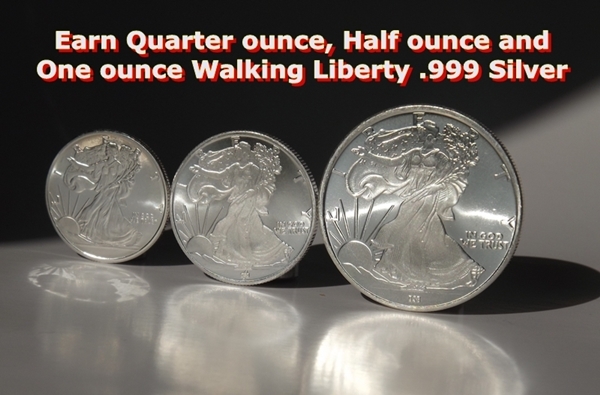 We would pay you beginning with the largest size silver first so you would receive 1 oz, + 1/2 oz + 1/4 oz Walking Liberty .999 Fine Silver Rounds. You can create a monthly recurring stream of pure silver coming to you though no promises or guarantees are made as to how successful you will be in the business. It is assumed that commissions are paid in silver though you may choose to be paid by check for our cost of the silver. You are not paid for enrolling people or the number of subscribers you have. It's based on the amount of silver they purchase. That's a good thing because many people order more than one Silver Divisible a month simply because they want more silver faster. All that extra Silver gets added into your monthly sales total. 7. Do I earn bonus silver for my own order and can I buy 1 oz silver rounds? No. To keep our prices reasonable we can't pay commissions to both customers and sponsors. Yes, if you let us know that's what you'd like we can substitute a one ounce round for every two half ounce rounds ordered. And if you want, we can also combine your monthly order and commissions into the largest size silver first since they are mailed together anyway. If you want your first order to be largest size first let us know at admin @ silversnowball . com (take out spaces) right before or immediately after you join and of course order a minimum of two rounds. The previous month's earnings are sent with the current month's order. For example, if you joined today commissions earned this month will be paid next month and included with your regular order since we have to wait until the end of the month to see what your total sales are. No, though we do try our best not to change prices unless forced to by market conditions. And we also understand that since silver prices can move a lot that members sometimes watch silver change in value every day and are concerned that the subscription price might go above what they can afford. As we also adapt to market conditions and our customers needs a change we made in early 2011 was to switch from Silver Eagles to a more affordable Silver because the Silver Eagles were simply getting too expensive for members to afford. Silver had almost tripled in price in a year. To maintain our silver bonus opportunity, yet remain competitive, we operate with as low as possible profit margin per silver purchased. Should the price of our product go up, like any business we have to adjust our price or product to adapt to market conditions. But our goal is to keep the monthly subscription affordable so no one will be silverless. And the trend since that time has been that we have been lowering prices. Members can check our current silver and price anytime on the home page of the website and of course contact us at any time if they need to suspend their subscription or change the amount of silver they are receiving. It's always up to you. We'd guess the silver you've already accumulated would gain a lot of value :-) But we also assume there will usually be some to be found. We've use three very reliable suppliers who purchase in large quantities directly from the US Mint, Private Mints and other sources as well as other wholesale dealers. Should market conditions become extreme, regarding either price or availability of product, Silver Snowball would have to make adjustments to the current product line. The important thing is we keep the silver coming to you, we keep it in an affordable price range so you can steadily build long term wealth, and of course give you the opportunity to add bonus silver to your monthly silver accumulation plan. Although all silver is valuable, the .999 Walking Liberty Divisibles as well as the other sized Walking Liberty Bonus Silver are brand new. 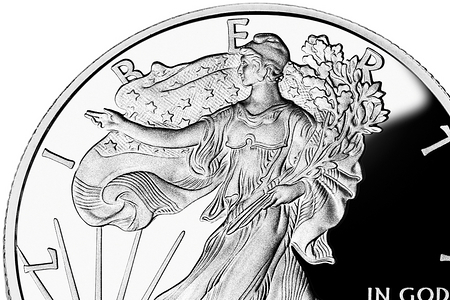 They are freshly minted, investment grade quality BU which means "Brilliant Uncirculated" silver rounds. Recently the demand for silver is concentrated in "new" silver. It seems the public simply wants shiny new gleaming silver since those are the type of silver coins and rounds that the major suppliers are having the hardest time keeping in inventory. We can now ship to USA, CANADA, SINGAPORE, NORWAY, SWEDEN, SWITZERLAND, NETHERLANDS, GERMANY, AUSTRIA and IRELAND. Due to import value restrictions on precious metals please limit SINGAPORE orders to two rounds per order and SWEDEN orders to one round per order. When you join you get a free marketing website with a lead capture / splash page and a member back office where you can check your sales and commissions. The back office also contains a training and marketing section with tools you can use to build your silver income. Send visitors to your site. If they are interested they will request more information. This brings them to the main order page of the website where they can join right away and also generates an autoresponse email that is instantly sent to them which gives them additional reasons to join. You are instantly forwarded a copy of the prospect's name and contact information so that you know someone has requested information at your site, and if you choose to, so you can contact them by email or phone to offer to answer any questions and let them know they have someone who cares about their success in the business. You are also notified when someone you have referred purchases any product. In addition, if your prospects have any questions they are invited to write or call company owner Ed Freeman who will personally assist them. This personal sales assistance from the owner of the company can be quite a powerful marketing benefit for you in this day and age of people not used to actually getting to speak with a live person at a company. Ed has over 25 years of successful sales, marketing, and customer service experience and works hard to help you succeed.